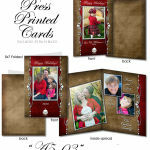 It’s just about time to start thinking about your Christmas greeting card order for this year! 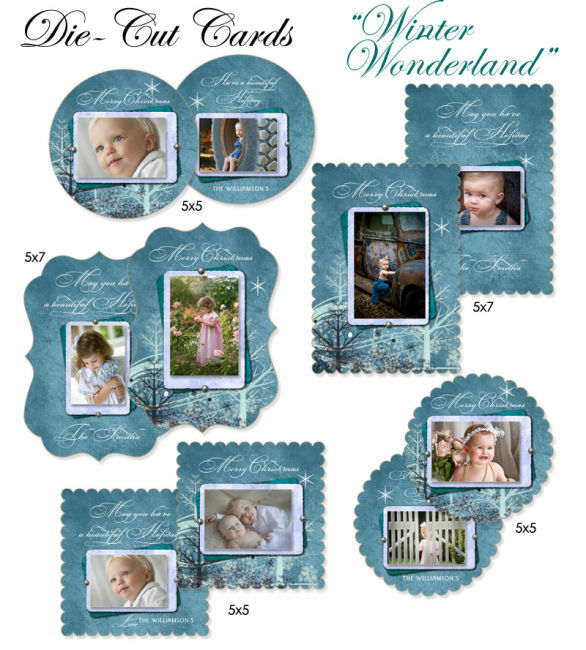 While I still have many of the designs that were available last year (in both flat photo cards and traditional press printed flat or folded greeting cards), I also have a number of new designs and an all new boutique line of Die-Cut cards. 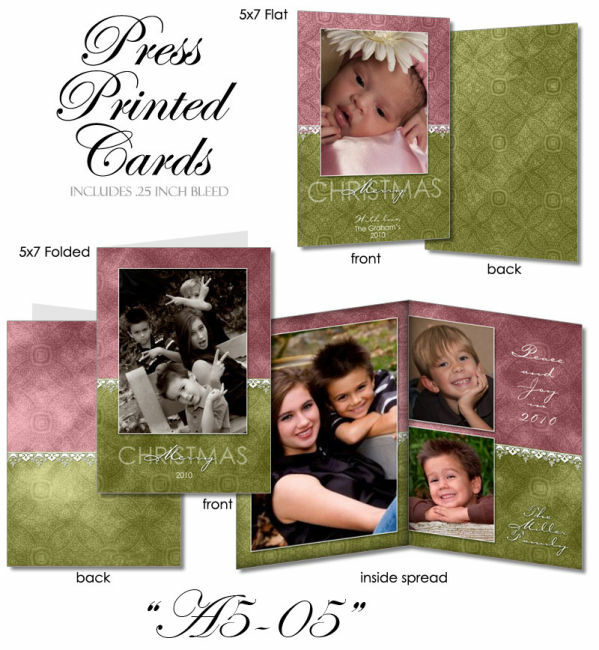 Boutique cards are press printed on traditional greeting card stock. 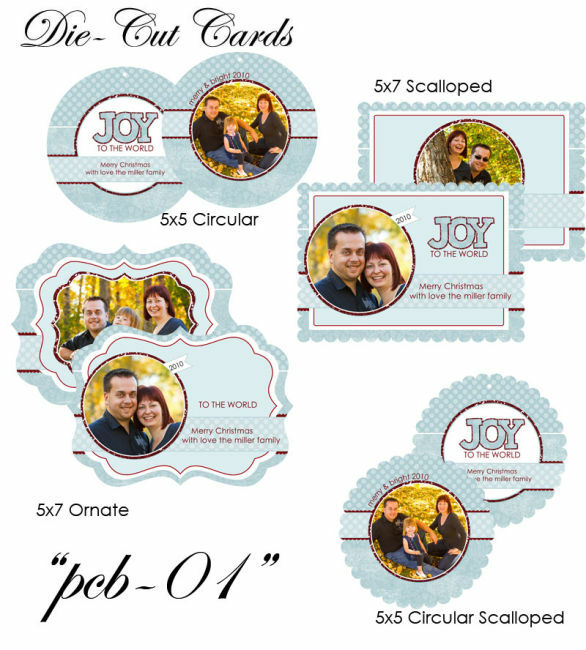 They are also die-cut to create basic shapes, curved shapes, scalloped edges, geometric and ornate designs. 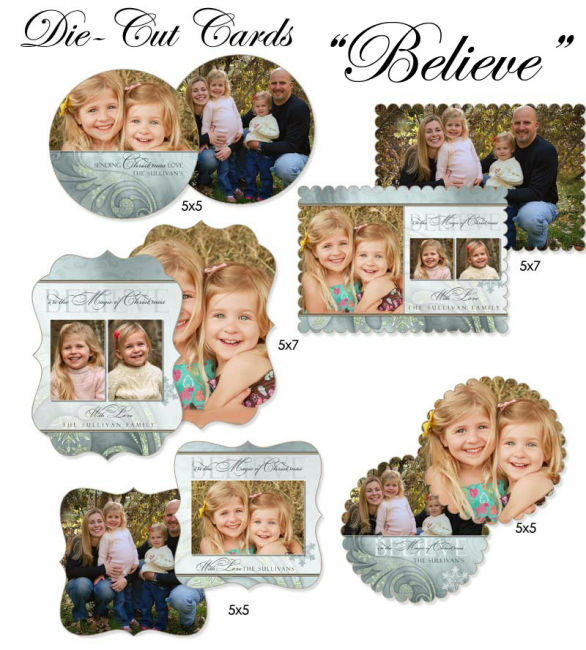 Die-cut Cards may be provided with sticker or magnet backings for fun gifts and year round display for your friends and family. 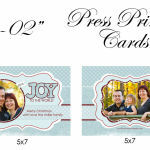 These are a premium press-printed product that you are not likely to see from any of your friends! 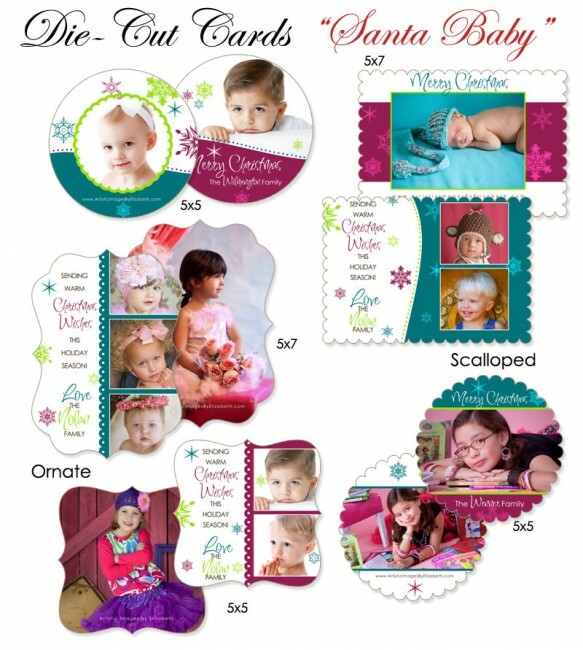 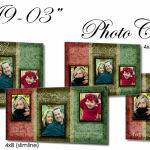 They are available in several shapes (Round, Square, Rectangular, Ornate, Scalloped, and more), and sizes (5×5, 5×7). 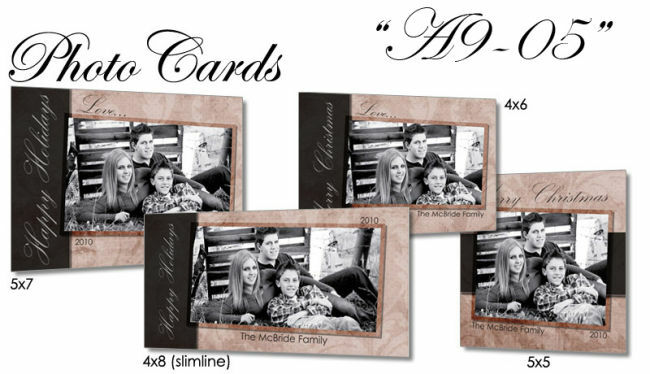 Also new this year are additional sizes for the flat photo cards. 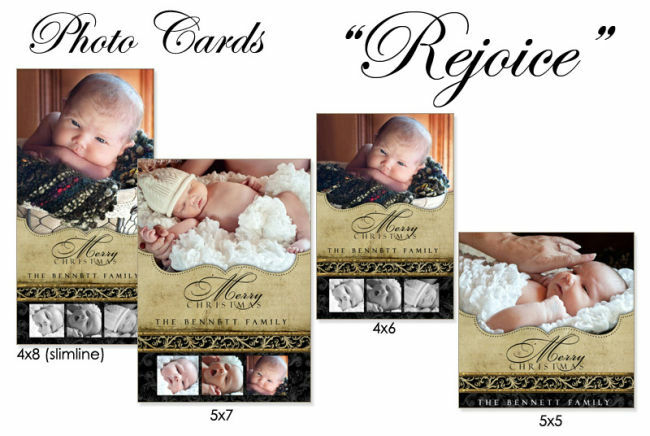 Last year I only offered 5×7 cards. 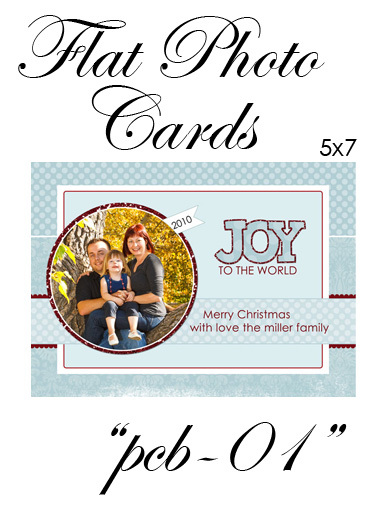 This year I have added 4×6, 4×8, and 5×5 cards to the line-up. 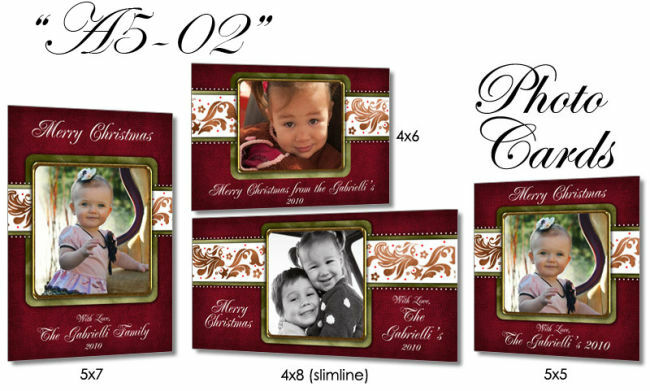 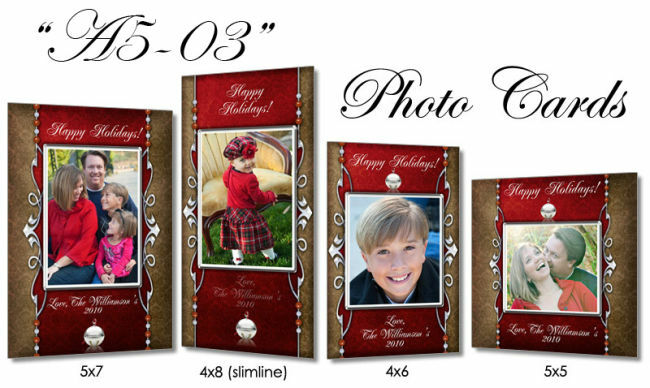 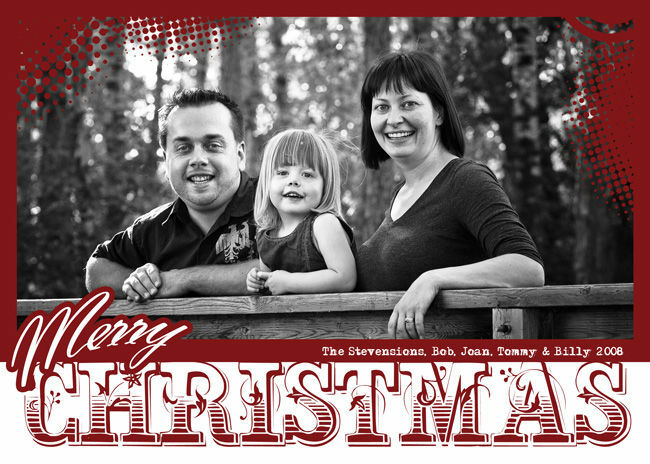 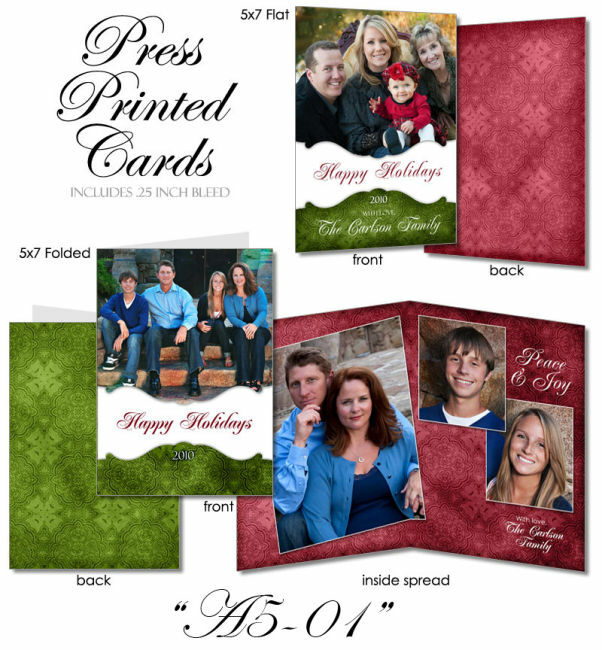 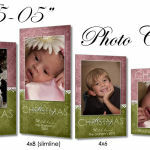 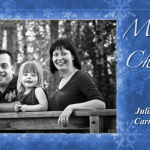 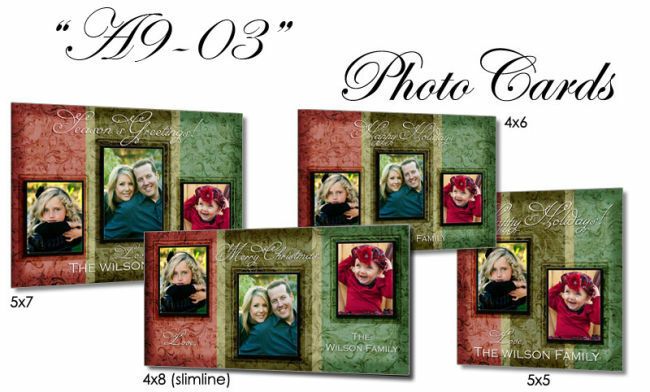 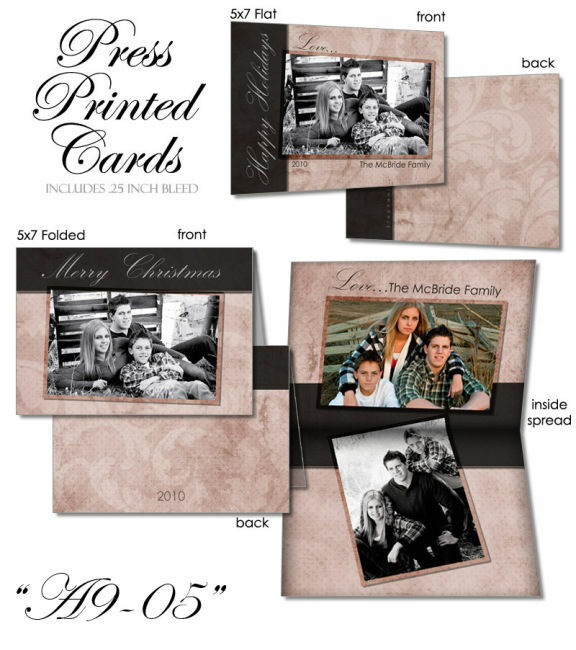 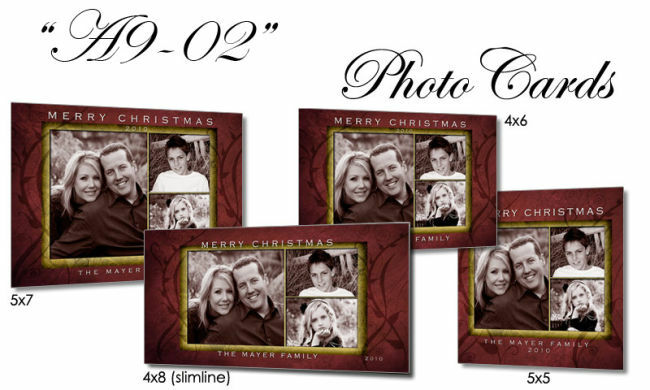 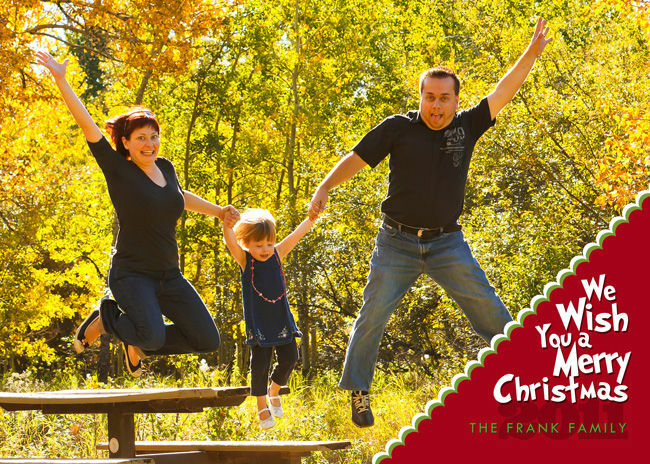 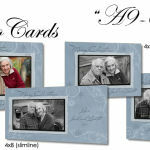 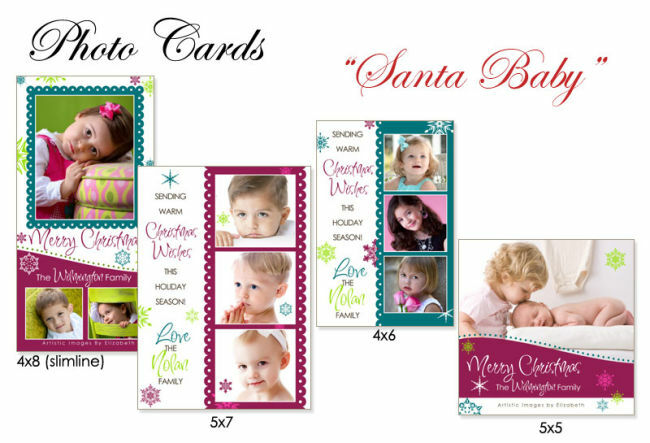 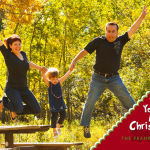 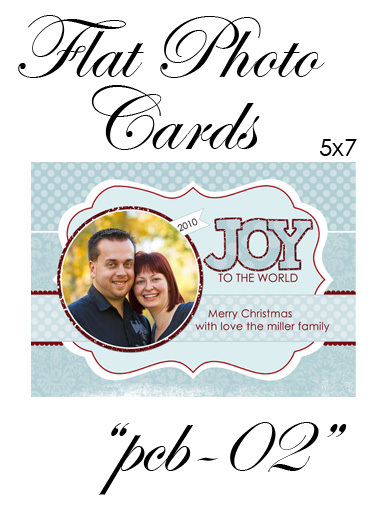 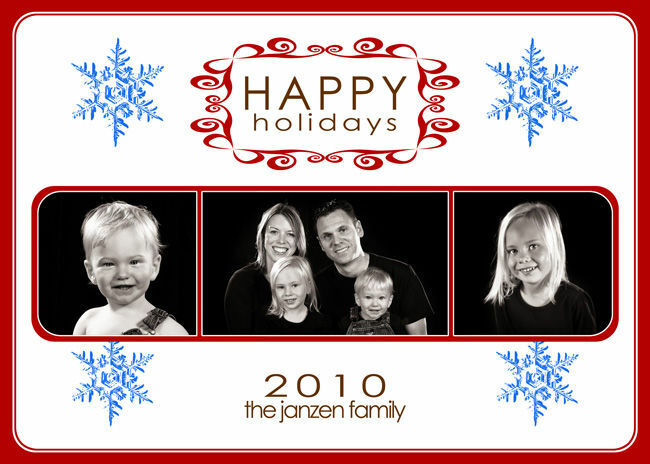 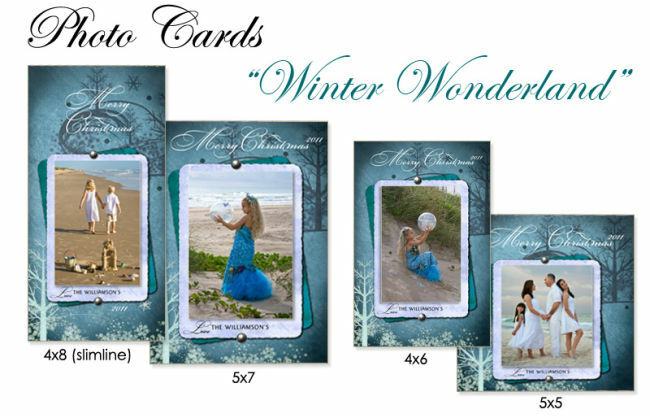 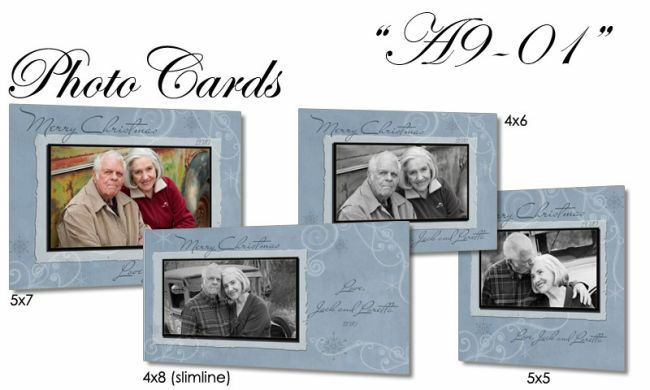 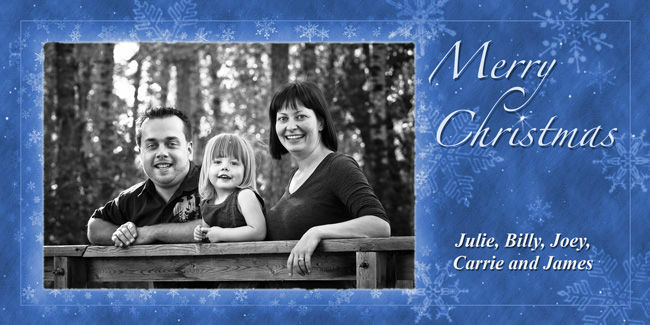 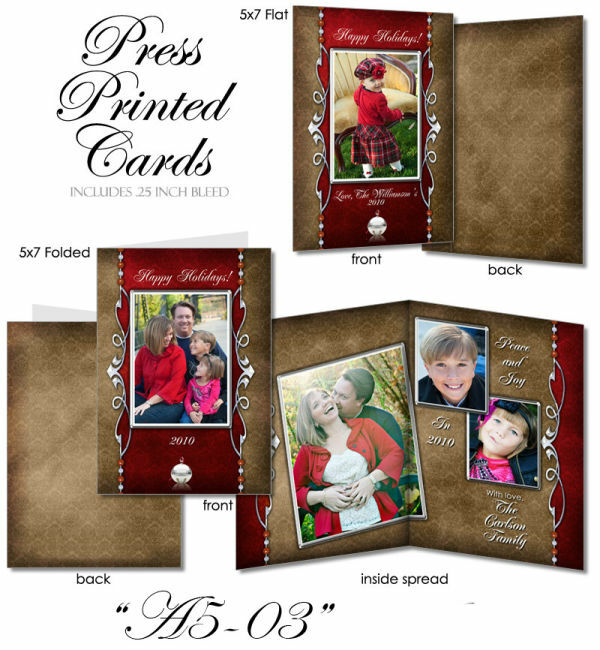 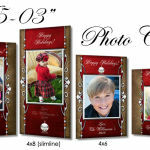 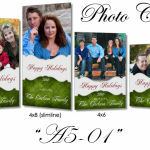 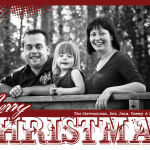 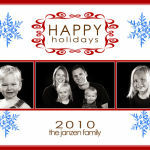 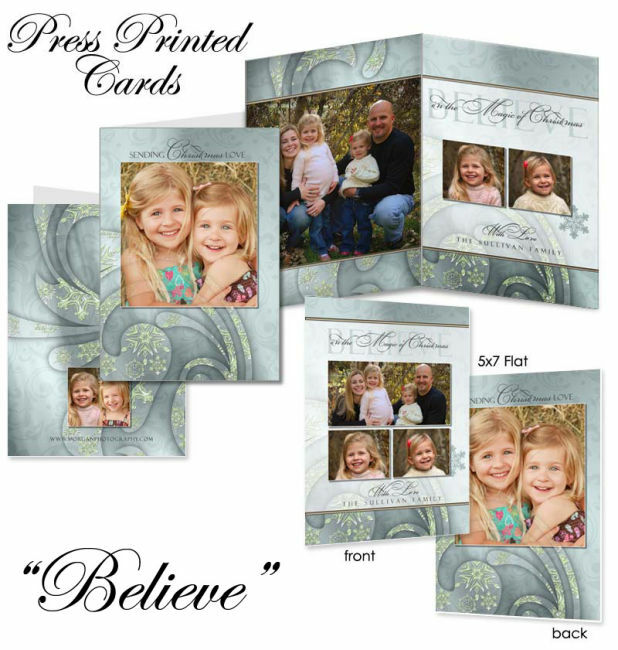 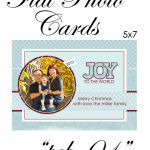 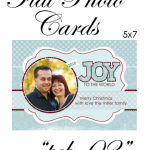 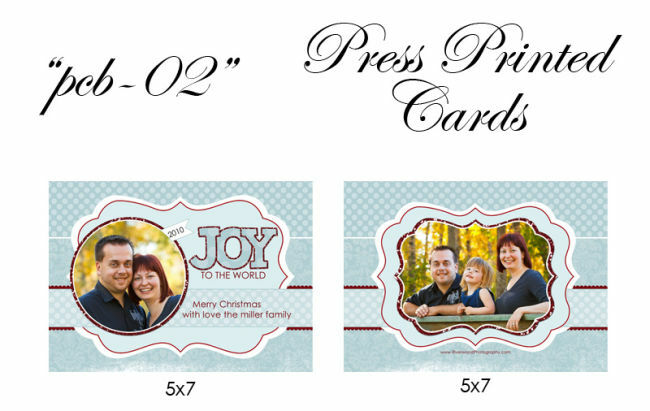 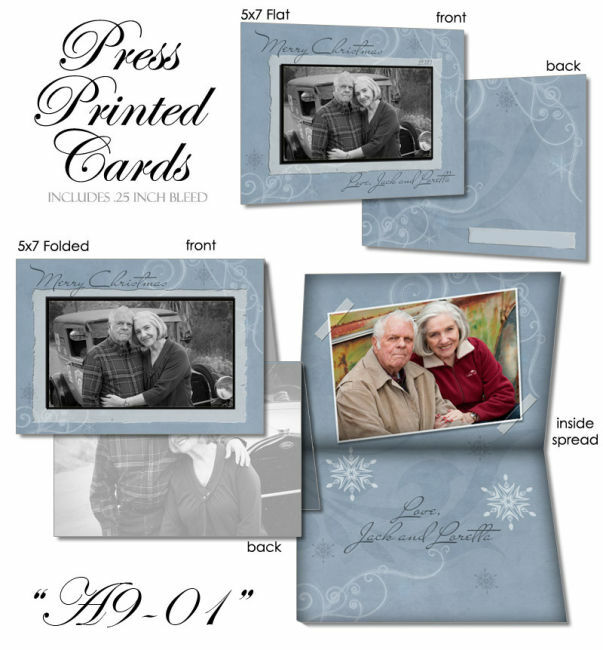 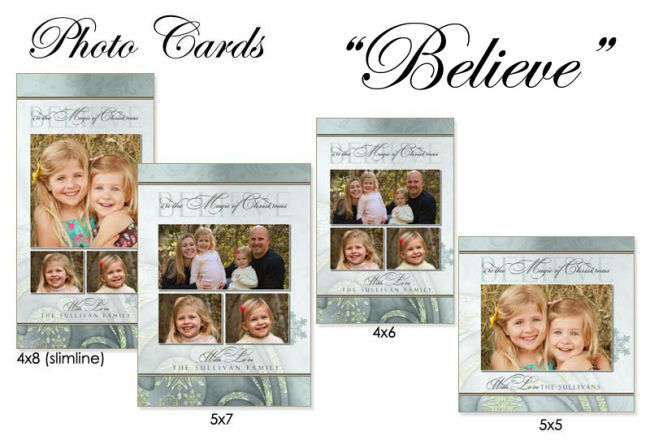 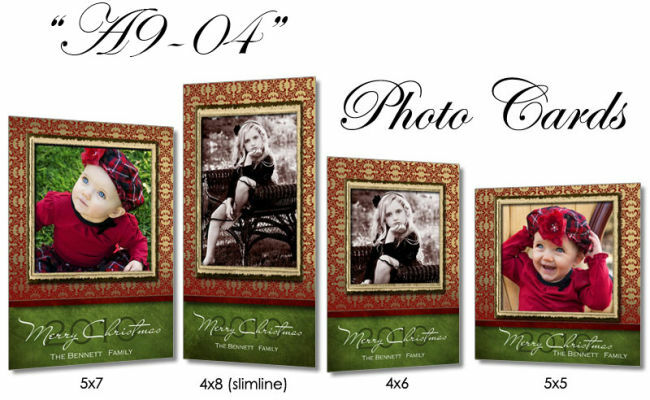 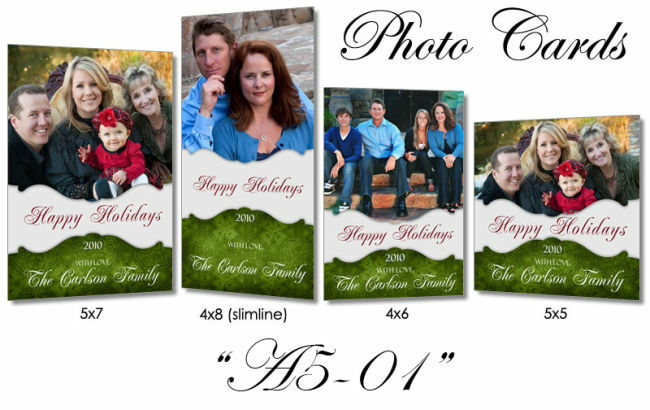 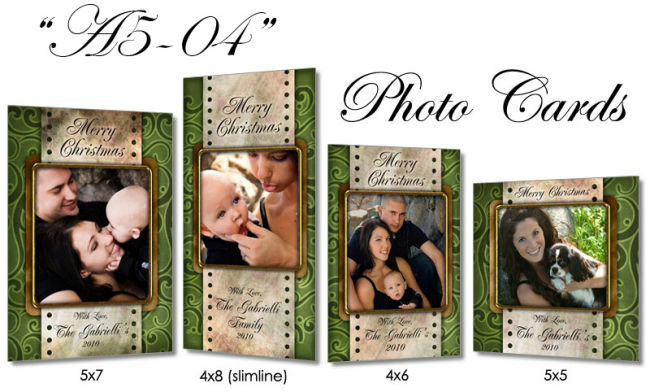 Every holiday card order will be custom tailored using your own images, names, greetings, etc. 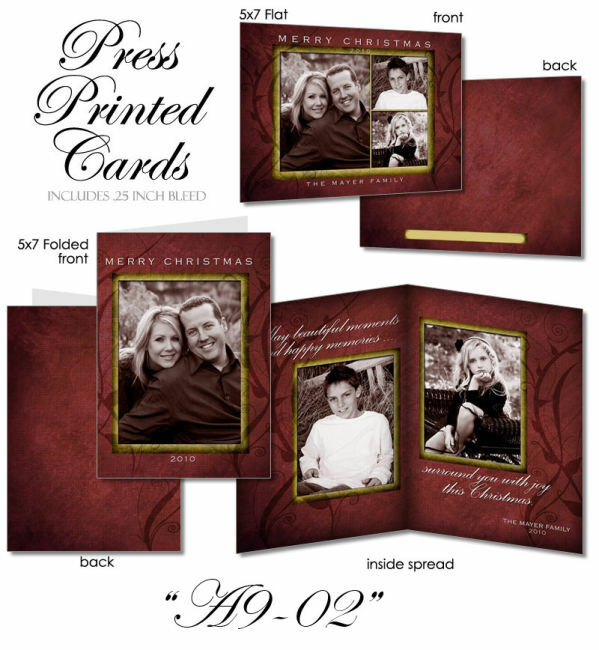 Mailing envelopes are included with every order. 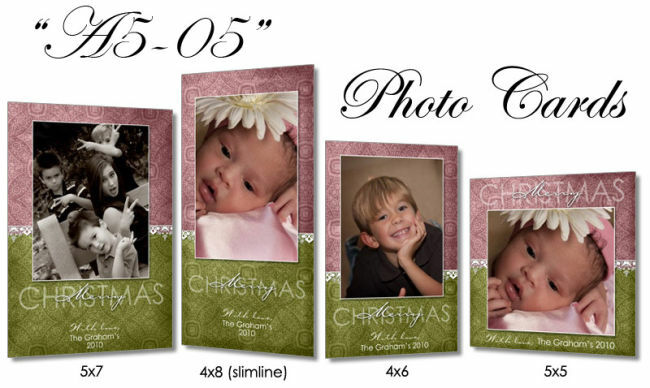 Pricing for the various shapes and sizes can be seen by visiting the Sample Portrait Gallery in the client area of the website.